After several years in some of London’s top Michelin starred restaurants, Castlecomer chef Tom Comerford has returned to treat us to his delicious cooking! Tom took up the position of head chef at the Ormonde Hotel just before Christmas and has since then helped to design new menus for the hotel’s restaurant. 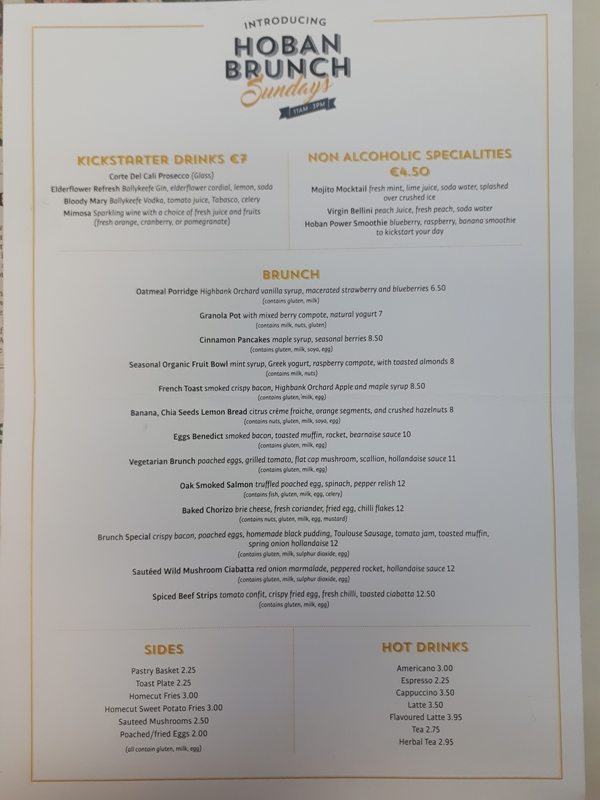 A new dinner menu will be launched in the coming weeks, but already Tom and the Ormonde Hotel are celebrating the launch of a new brunch menu. In the few weeks since the brunch experience was launched it has already become a firm favourite in Kilkenny. A modern menu with classic dishes and some you probably won’t get anywhere else in Kilkenny, the brunch is a relaxed and delicious affair. Served on Sundays from 11am to 3pm in the Hoban Bar and Brasserie, with a DJ providing ambient music to set the atmosphere, brunch is a lovely, friendly event. Many families go for a swim in the hotel pool before having brunch, and it’s also popular with groups of friends who can catch up over a nice meal and coffee. It really is to be tasted to be believed! Tom is delighted to be back in Kilkenny following stints in Pierre Koffman’s La Tante Claire (three Michelin stars), John Burton-Race’s restaurant at the Landmark Hotel (two Michelin stars), Michelin starred Auberge du Lac in Hertfordshire, and Michelin starred Thornton’s Restaurant in Dublin.